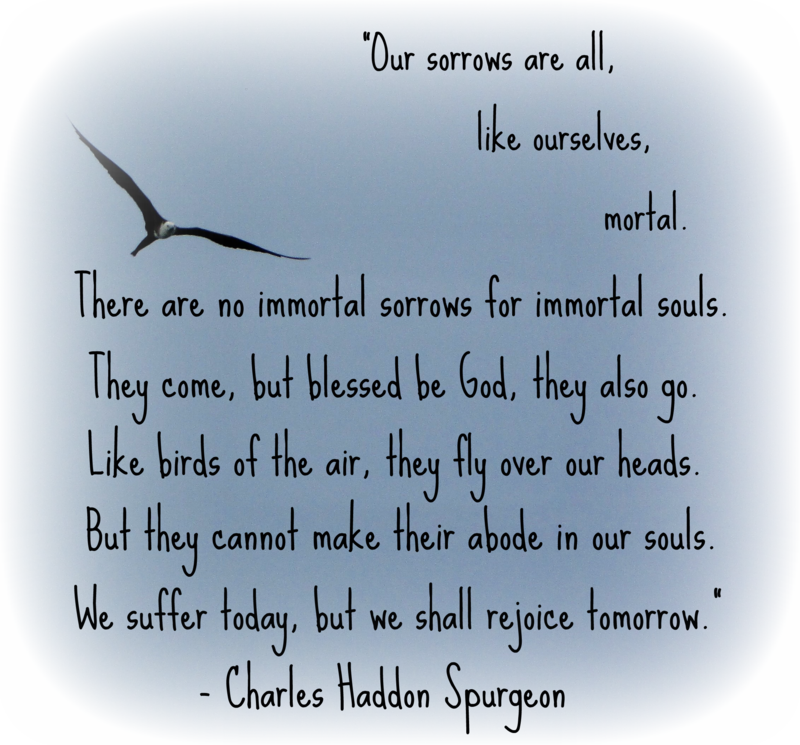 A good truth to remember…all sorrow will pass away. Borrowing this for my site. Perfect for our family situation at this exact moment.